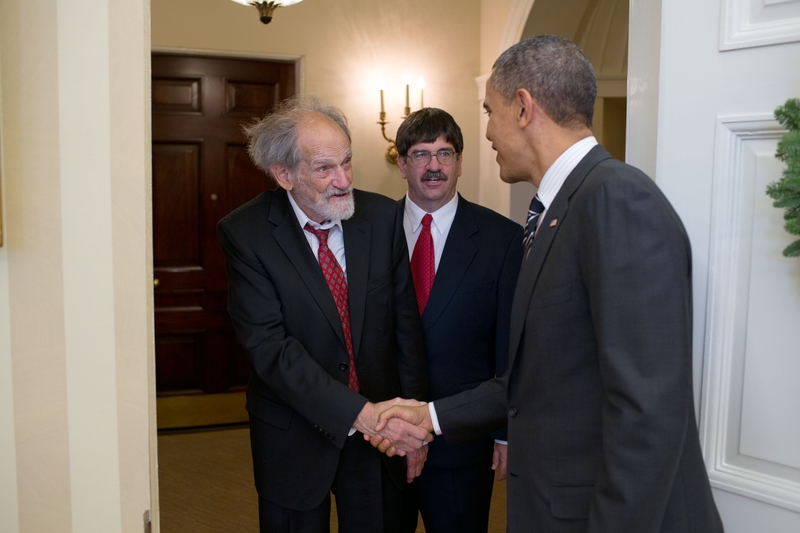 Lloyd Shapley was one of the founding giants of game theory. 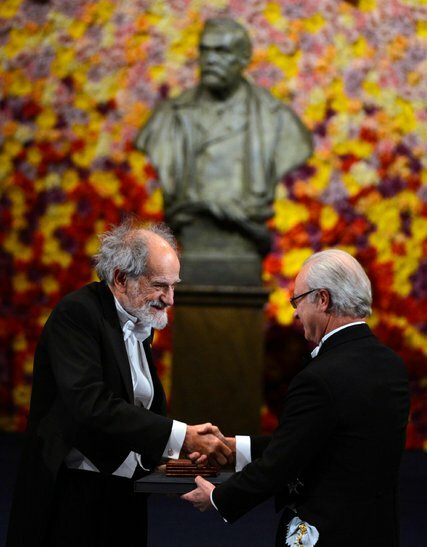 He shared the 2012 Nobel Prize in Economics for his seminal work with David Gale on stable matching, but he could have won a Nobel for any of a number of his papers that initiated whole literatures: he was one of the very first to formulate and study the core of a game, he and John Milnor initiated the study of games with a continuum of players (“Oceanic Games”), he invented the Shapley value, he and Martin Shubik showed how it could be useful in studying voting and political processes, and his paper on Stochastic Games initiated the study of Markov Decision Processes as well as Markov Games. "One of Mr Shapley’s better-known achievements is the Gale-Shapley matching algorithm, which he devised after an old university friend (David Gale) asked for help to solve a problem. Given two groups of people, each with slightly different preferences, is there a way to match them in such a way that people aren’t constantly ditching their partner? After much head-scratching, Mr Gale suspected there was no solution, but could not prove it. As Mr Shapley told it, the solution took him the best part of an afternoon. " In their 1962 paper, “College admissions and the stability of marriage,” Shapley and mathematician/economist David Gale demonstrated how to match members of two groups — for example, men and women in a “marriage market” — in a way that is stable." "He was a research mathematician at RAND from 1948 to 1950 and from 1954 to 1981. He also taught “Game Theory and Applications” in the 1970s and early 1980s at what is now the Pardee RAND Graduate School, which awarded him an honorary degree in 2014." "As I prepared to leave California for Illinois, I paid a visit to Lloyd Shapley at the Rand Corporation in Santa Monica to tell him about my work. I recall a pleasant visit, in which he correctly conjectured how the proof of my fixed point theorem worked, and (if I recall correctly) ended with him driving me to the airport in his station wagon. "